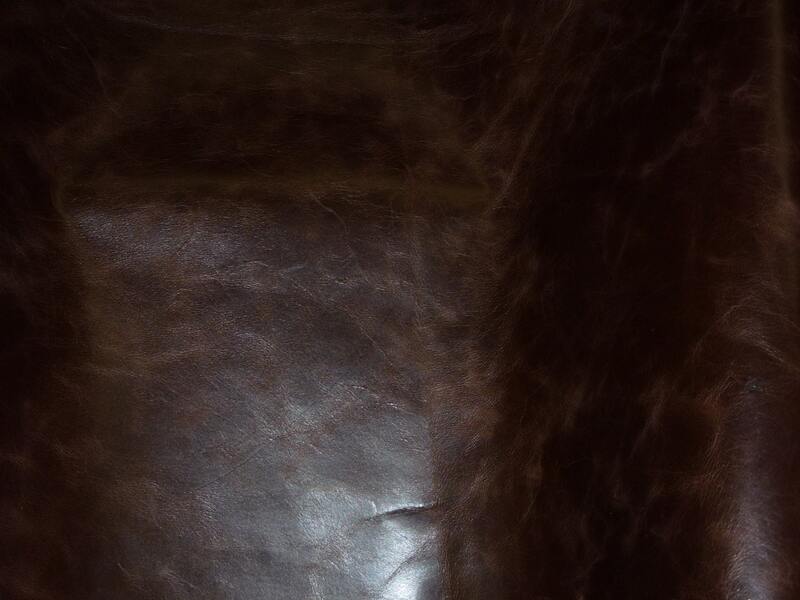 The backside is a chocolate brown suede that may not be pretty Some pieces might have a stamp or fleshings other marks on them. 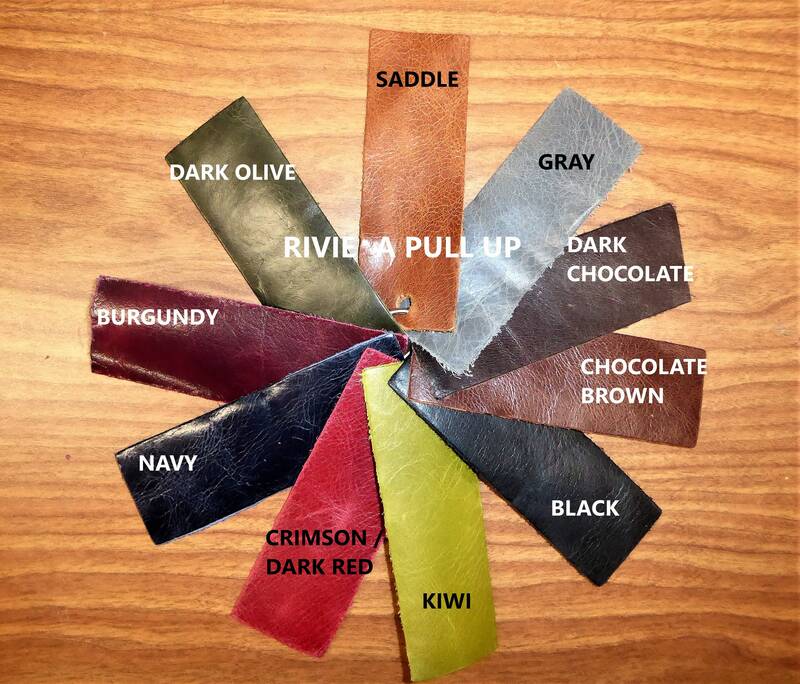 Riviera is an aniline-dyed leather tanned with waxes that create a distinctive two-tone shaded pull up effect. 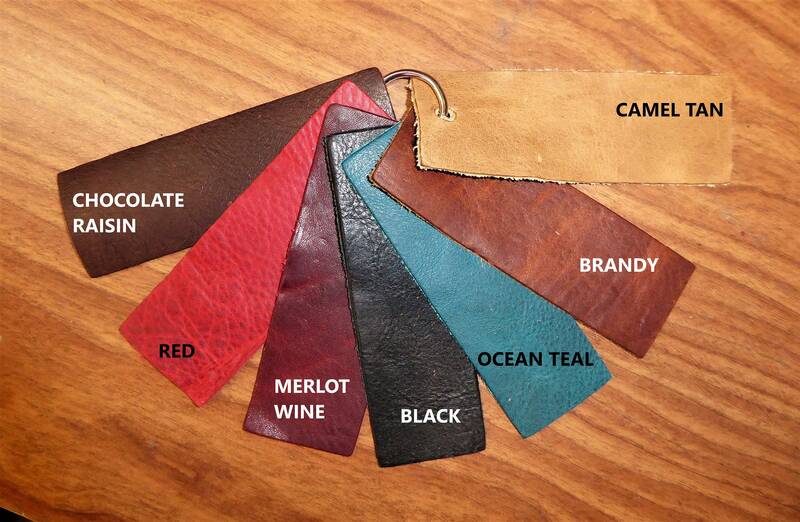 Other features include a sleek touch, fantastic drape, and pliability to work with which makes this leather very desirable to manufacturers of furniture, handbags, boot, shoes, belts, saddlery, album covers, & any accessories. 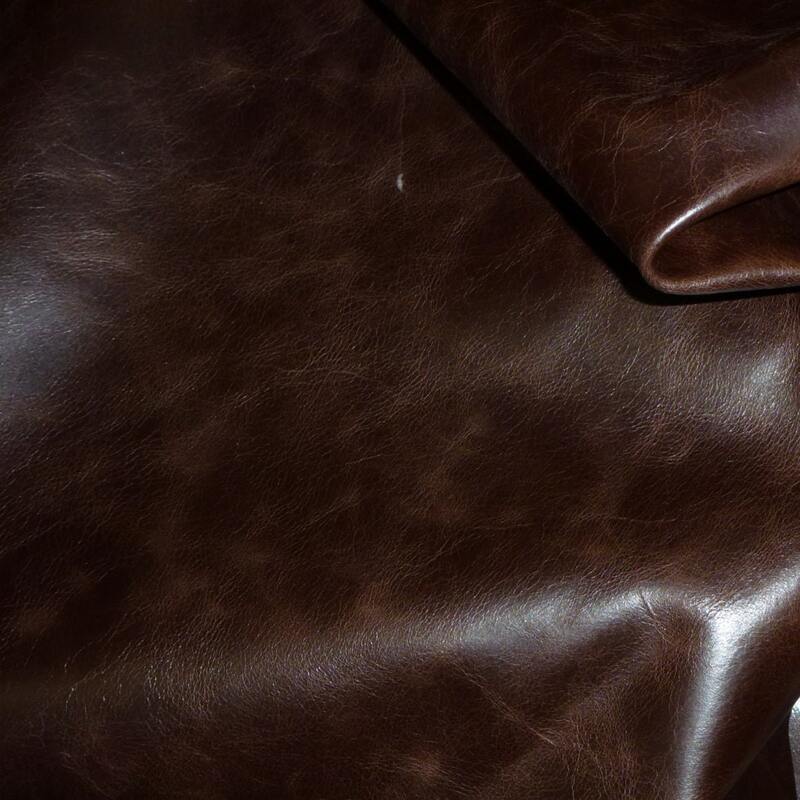 Even though this beautiful leather is meant to age naturally, the light protective coating helps it resist fading and scuffing. Hides average 25 sq ft overall $5.99 per sq ft.